This photograph looks straightforward but has an element of mystery. It’s a rare example from the time of a shot that captures a person in motion. But it leaves a few questions hanging in the air. Who is this boy? Why is he running? The obvious assumption is that he’s running in a race, but what if the sly smile on his face is a hint that he’s being chased after some piece of mischief but is confident of getting away? 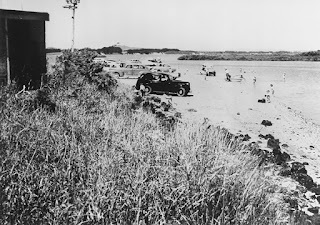 Ref: Trevor Penman, Cars on the beach, Māngere, c1959, photograph reproduced by permission of Trevor Penman and Mrs Gladys Penman, South Auckland Research Centre, Auckland Libraries, Footprints 22. A reminder of those innocent times when you could drive your car right on to the sand and step out almost straight into the tide. 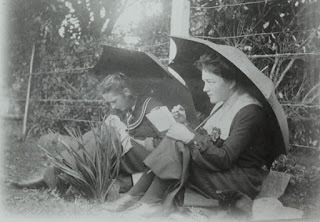 This photograph is redolent with the nostalgia of lost summer days. 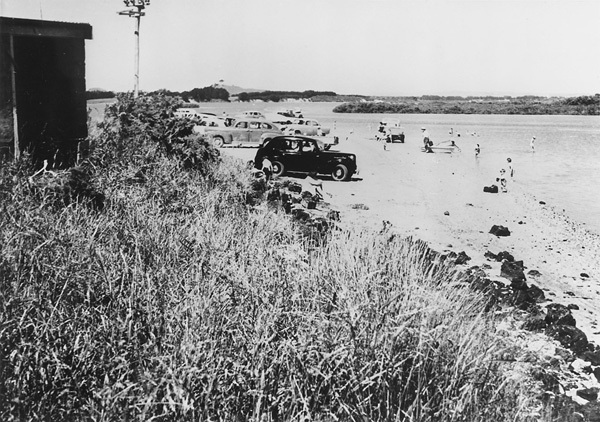 A year or two after it was taken this beach was declared off limits to the public and covered by the earthworks for Auckland’s new international airport. Ref: Enoch S. Pegler, The SS Weka at Waiuku, 16 October 1898, photograph reproduced courtesy of Waiuku Museum Society, South Auckland Research Centre, Auckland Libraries, Footprints 00912. This is documentary photography at its most informative. The photographer, location and date are all known; the image is sharp and clear. Everything can be seen: the muddy banks of the tidal Waiuku River; the battered little steamship waiting for the tide; the tiny dolls’ house on stilts that served as the local road board’s office; the rickety bridge; the elegant double-storeyed Kentish Hotel; the late Doctor Topp’s house, flanked by willow trees; the gable end of Flexman Brothers’ general store. 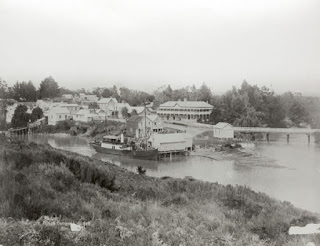 The Kentish Hotel can still be seen from much the same vantage point today. Ref: Under the umbrellas, Māngere, c1905, photograph reproduced courtesy of Māngere Historical Society, South Auckland research Centre, Auckland Libraries, Footprints 01098. 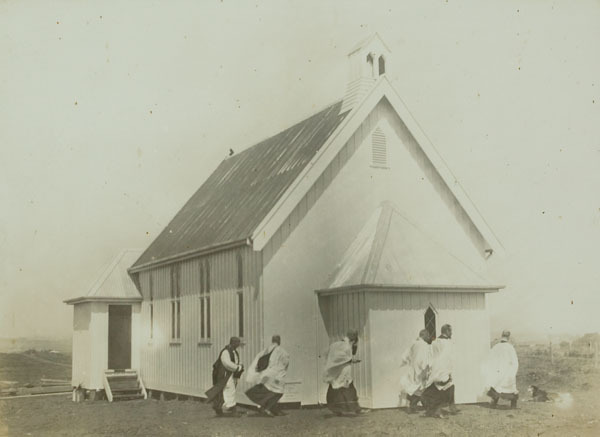 When thinking about our Footprints database I always think of this photograph. I wonder what Beatrix and Muriel’s lives were like, what it would have been like growing up a century ago. Ref: Planting pohutukawas, Clover Park, July 1997, photograph reproduced by permission of Fairfax Media, South Auckland Research Centre, Auckland Libraries, Footprints 03682. 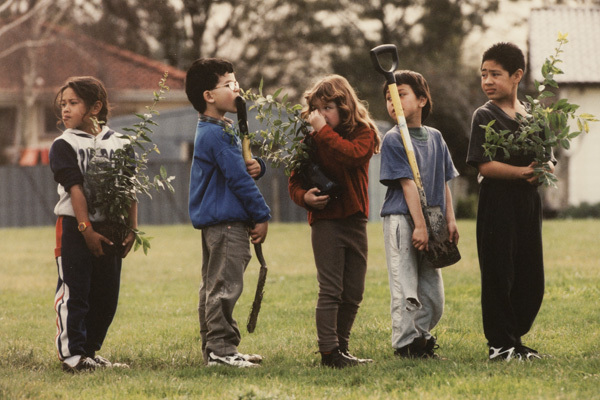 This photograph of Redoubt North Primary School students helping with planting trees at their school is special and unique in different ways. It is unposed and natural. 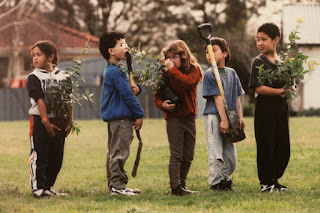 It is also multicultural and shows children doing what all children do when having to wait their turn (in line): sticking out their tongue, putting things into their mouth when in thought, touching their faces, touching or picking their noses, or just watching what is going on around them. This photographer caught the moment perfectly! 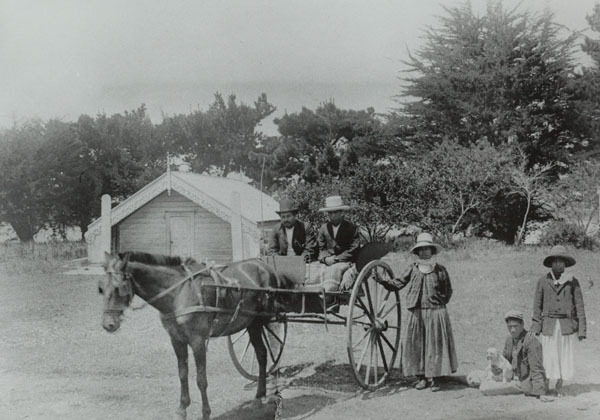 Ref: Horse and gig, Māngere, c1905, South Auckland Research Centre, Auckland Libraries, Footprints 01083. 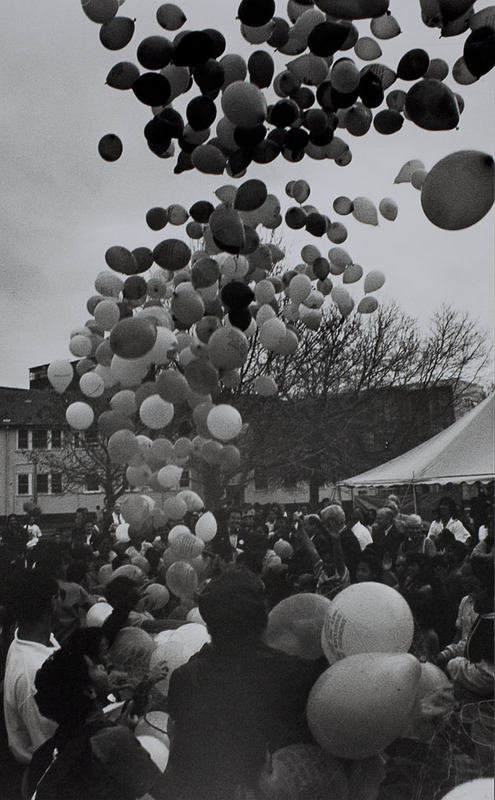 Ref: Gerard Johnson, Balloons galore, Middlemore, 20 June 1991, photograph reproduced courtesy of Fairfax Media, South Auckland Research Centre, Auckland Libraries, Footprints 03501. This is one of my favourite photographs. I love the shape that these balloons make as they float skywards. I also like the way that the photograph is in black and white, the grey and black balloons look like they should be solid and heavy, but despite this they are still able to ascend with ease. 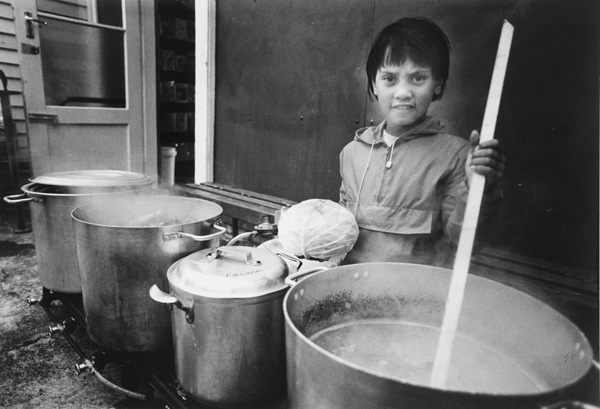 Ref: Waterlea School hui, Māngere Bridge, April 1993, photograph reproduced courtesy of Fairfax Media, South Auckland Research Centre, Auckland Libraries, Footprints 03582. The way the girl looks out of the photograph at the viewer is what I like about this image. The lovely big round pots, the stirring stick, the round cabbage. There is a sense of being a part of something bigger, a duty to work for others. Ref: Blessing St Mark's Anglican Church, Waipipi, 19 November 1914, photograph reproduced courtesy of Pukekohe Library, South Auckland Research Centre, Auckland Libraries, Footprints 02372. I like this image because the soft white light lends an ethereal quality, echoing the spiritual nature of the subject. The wind blowing the religious garments makes it seem possible that the priests were able to fly as though they had wings.